What is Christmas without tinsel? These shiny strands have been around as Christmasdecorations for hundreds of years. 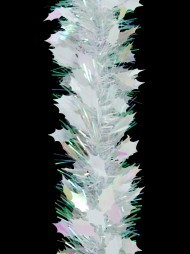 Originally made from crushed silver and otherprecious metals, tinsel was first used to adorn sculptures. Around the sixteenth century,it began to be placed on Christmas trees to accent the flickering candles that were usedto decorate the tree in those days. 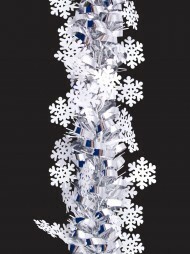 Modern times have brought about a lot of changes to tinsel, it now comes in manydifferent colours, and is made from a variety of materials like aluminium and plastic. 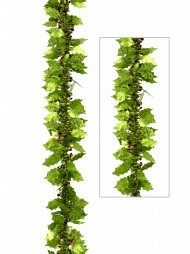 Itis often used to fashion garlands, or to weave through wreaths. The garlands may befound decorating not just trees, but mantels, entryways, furniture and whatever elsestrikes the fancy of the decorator. 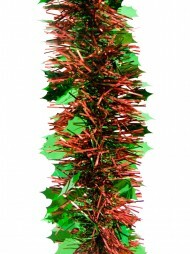 This mixed tinsel comes in many colours and different colour combinations. 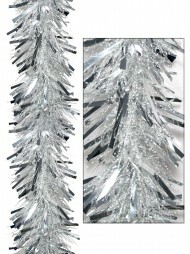 Traditionalgold and silver tinsel is always popular when it comes to Christmas decorations. Othercolours, such as blue, purple, red, green and white make lovely accents for any tree orholiday arrangement in a home or place of business. 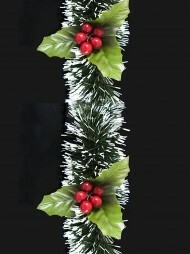 Our more detailed tinsel items feature multi-coloured garlands with candy canes,snowflakes and holly leaves attached. Colourful dots adorn some of the shiny tinsel,and some of the tinsel garlands have looped ends, while others are shaggy inappearance. 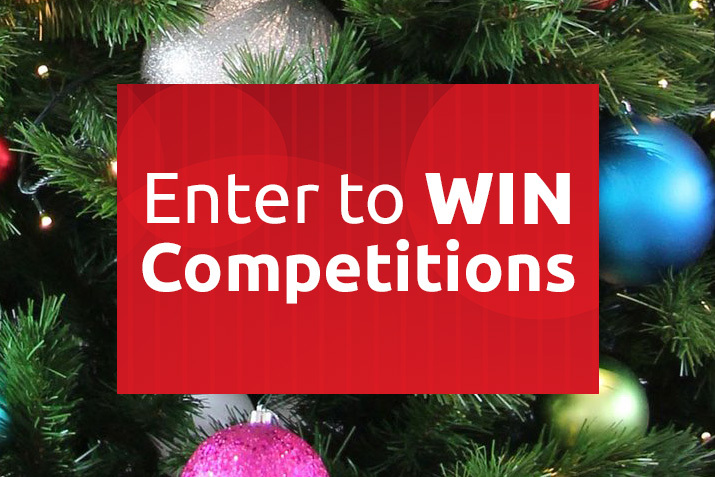 Regardless of style or design, there is a tinsel option available to enhanceany Christmas tree or any other décor. 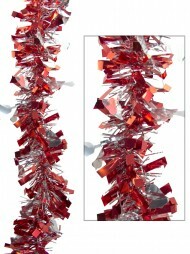 Tinsel is one of the best-loved Christmas decorations for adults and children alike.The possibilities are endless when it comes to finding ways to use tinsel for any festiveoccasion.